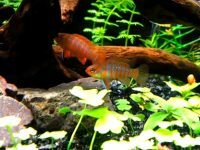 Although there are many ways to establish the nitrogen cycle in an aquarium, most hobbyists choose to use so-called “starter fish” for the purpose. Perhaps this is because this method allows the new aquarist to have life in their aquarium while the tank is still new. The key to stocking an aquarium is to be patient! Always remember to start an aquarium with no more than 25% of the total carrying-capacity of the tank. See our guidelines for stocking an aquarium for more information. Following is a big list of hardy fish for starting aquariums. 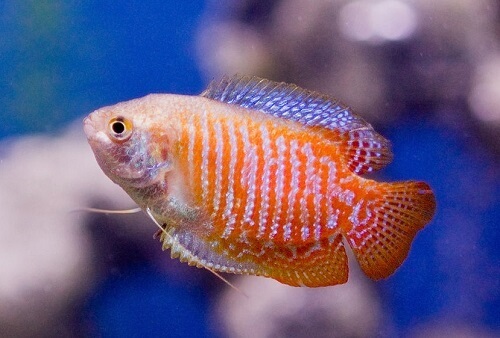 The Three-spot Gourami comes in several color hybrids sold as Blue, Gold, Platinum, Snakeskin and Opaline Gouramis. These are all the same species. Dwarf Gouramis are also available in many color hybrids, including the Flame and the Royal Blue varieties. Of the Gourami species listed here, the Pearl and Moonlight Gouramis are the most sensitive, but we have used both successfully to start a new aquarium. The True Giant Gourami is a fish that is rarely offered for sale. They get huge, and should not be kept in small aquaria. When Kissing Gouramis “kiss” you are observing a territorial behavior between two males, which can get so violent that they actually try to rip each other’s lips off. We list Bettas here, but caution that they do not make good community tank fish. Either their tails and fins get nipped, or they attack other fish with long, flowing fins such as fancy guppies. Paradise fish are also notorious fin-nippers. Batfish and Spadefish grow very large, and should be kept in aquariums that are 150 gallons or larger. 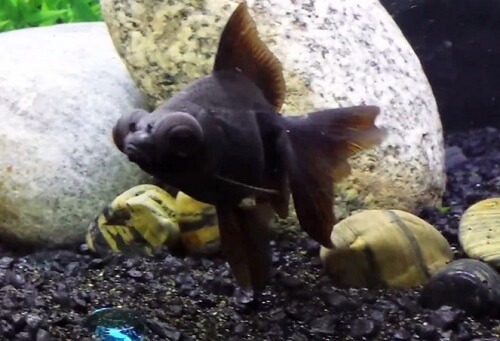 The Pinnatus batfish should not be kept in ANY aquarium, as they will not usually survive in captivity. Tiger Datnoids are aggressive predators that grow large and will eat almost any fish they can fit into their mouths. The other brackish water species, including Scats, Anableps, Archers, Glass Fish, Leaf Fish, Ropefish, Puffers, Eels, Gobies, Monos, Flounders, Mudskippers, White-tipped Catfish, and Gars, can’t do well in new tank conditions. Most Botia and Loach species are not hardy enough to start a new aquarium. Botias are scaleless fish, and are therefore more sensitive to ammonia. 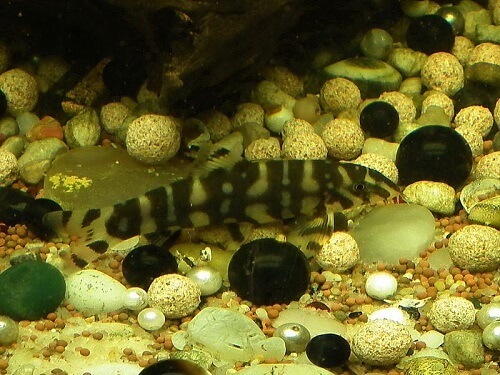 The most popular Botia, the Clown Loach, is definitely not a good starter fish, nor is the Kuhli Loach. Some Botias, such as the Rainbow (Blue) Botia, can become very aggressive and should be watched closely. Catfish are not scavengers, to be put in an aquarium to clean up messes. You may have heard that if you keep Catfish and/or a Plecostomus or two, you’ll hardly ever need to clean your tank. Nothing could be further from the truth. Catfish do not eat solid fish waste, and very few species can tolerate ammonia or nitrite. They need a steady diet of fish food. While almost all Plecostomus species feed on algae, they too need a varied diet. If you are the type that cleans up all your algae and keeps your tank immaculate all the time, you should not have an algae-eating fish in your tank. Many different kinds of Catfish are accessory air-breathers and can tolerate relatively low oxygen levels. However, most aquarium Catfish species have not proven very tolerant of ammonia. Do not assume that another species related to one on this list will also be hardy. Even the species listed here are usually best added after the aquarium has been well-established. We merely list some species in several categories that have been known to tolerate new-tank conditions. 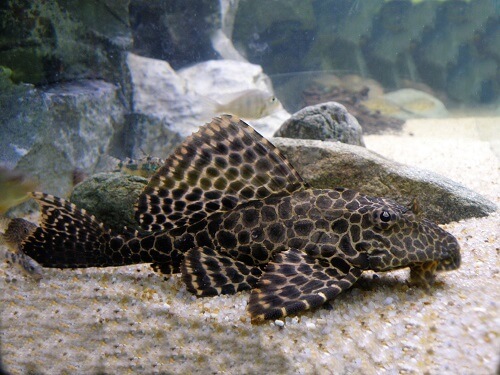 All species of Plecostomus species and their relatives (Loricariids) are Catfish. They should not be added to a new aquarium, as there will not be enough algae or plant matter for them to eat. For that matter, no algae-eating fish should be purchased until algae growth is sufficient. Diet of these fish must still be supplemented with other foods. Channel catfish get huge. 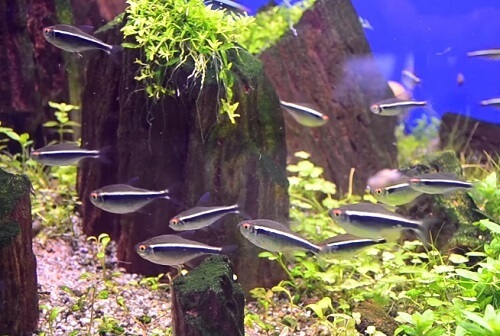 There are more than a thousand species of Tetras and other Characins. Most do not tolerate new-tank conditions, but we probably left out a hundred or so more that do. We have listed the hardiest of the most commonly-available species here. 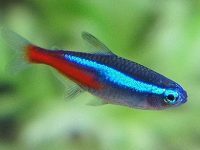 Cardinal, Emperor, Von Rio, Blue Emperor, Neon, Rummynose, Penguin and Glolite Tetras are commonly-found, and are very beautiful Tetras. However, none of those species will tolerate new tank conditions. Thousands of these species are sold to unsuspecting new hobbyists by unknowledgeable employees at pet stores. 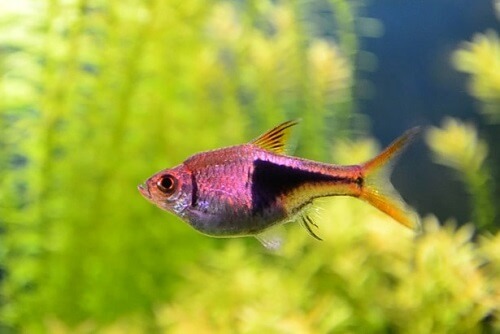 They usually die rather quickly, giving the impression that all Tetras are hard to keep. Even these species are not hard to keep, provided they are introduced into a properly-aged, very peaceful community aquarium with other smaller fish. 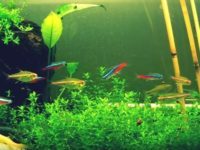 Most Tetras are at their best in soft, slightly-acid water. Pacus are the largest of all the Characin species. They should not be purchased unless you have a very very large aquarium. Although Piranha are perceived as “tough” carnivores, they are not that tough when it comes to ammonia and nitrite. We do not recommend them to start a new tank. This is also true of the various Silver Dollar species. The Pacu is a very large Characin, related to the Piranha (but they’re herbivores) that although very hardy, quickly grow gigantic, and will outgrow almost any aquarium, so we did not list them here. We will not even attempt to list all of the Cichlids that can be used as starter fish for an aquarium, especially the many species of African Cichlids. 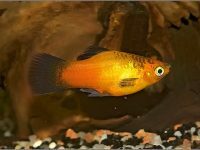 Most Cichlids are very hardy fish and will cycle an aquarium with ease, but you may have noticed that we left off some very common Cichlids that do not make good fish for a new aquarium. The most notable exceptions, the Angelfish (Pterophyllum sp.) and the Discus (Symphysodon sp. ), which should NEVER be used to start a new aquarium. 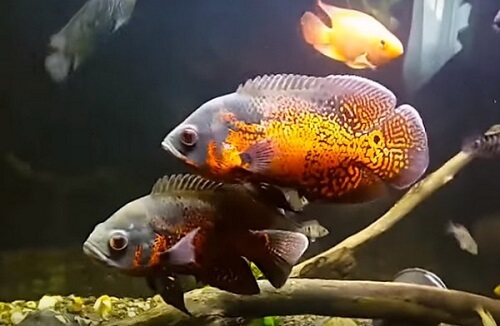 Many beginning hobbyists are not aware that the Angelfish and Discus are Cichlids, as both species are peaceful, and neither has the typical Cichlid oval shape. The Uaru (pronounced “waru”), is also a sensitive species. It should be pointed out here that most species of Cichlids are aggressive fish, and many grow quite large. Most of the South and Central American Dwarf Cichlids are also too delicate to start a new aquarium. 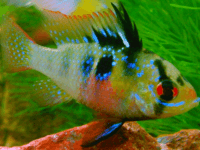 This includes nearly all of the Apistogramma species and the Rams (Microgeophagus sp.). 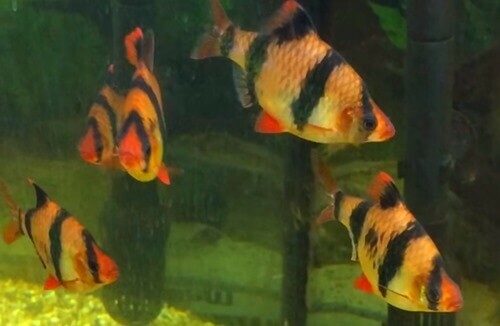 The Red Parrot Cichlid, not listed here, is a “mule” hybrid between the Gold Severum and the Red Devil Cichlid. They have never survived a new tank when we’ve tried them. With the exception of the Tinfoil Barb, we have not found a Barb yet that didn’t make a good hardy fish for cycling aquariums. 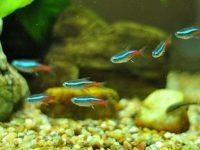 The one other exception is the Cherry Barb, which is not only one of the smallest Barbs, but in our experience, seems to be the most delicate of the commonly available species. Long-finned hybrids of some Barb species do not survive a new tank as well as the short-finned varieties. Ammonia can burn away the long flowing fins of these fish, and they may also be genetically weaker (due to in-breeding) than the original species. 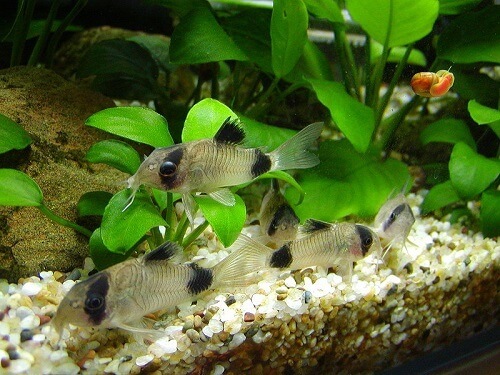 Silver-scaled Barbs such as the Tinfoil Barb (and Bala “Sharks”) are also not as hardy and tend to not tolerate ammonia nearly as well. The Chinese Algae Eater is not recommended, as they will feed on the slime coat of other fishes as well as algae when they get larger. Some literature has pointed this out, but has called this a mistake on the part of the fish, saying “they sometimes mistake the sides of large flat-bodied fish for smooth surfaces.” This is not true at all. In our experience, and from other literature we’ve read, this is an intentional act, and adults of this fish have been known to prefer the slime coat of fish to algae. We listed the Goldfish and Carp separate from the other Cyprininae (Barbs, etc. ), as they are temperate (cold water) species. Most of the expensive fancy hybrid goldfish do not make good starter fish. Their swim bladders are sensitive to injury, and genetic weakness due to in-breeding has made most varieties far more sensitive to their common Comet relatives. Fancy goldfish tanks are best cycled with Comets or White Cloud Minnows, which can then be removed when the tank is safe for the more-expensive fancy varieties. 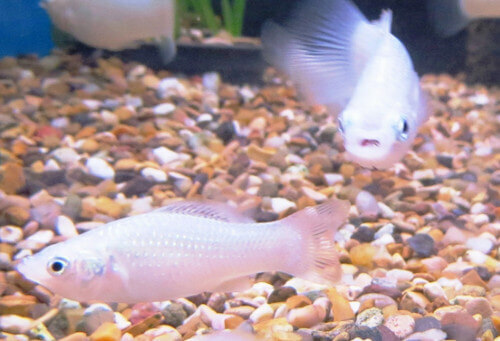 These include the Oranda, Ryukin, Pearlscale, Lionhead, Celestial, and Bubble-eye varieties. These species are some of the best for beginning hobbyists, and are also the best for a beginning breeder. They are very hardy, are available everywhere and come in a wide variety of multi-colored hybrids. 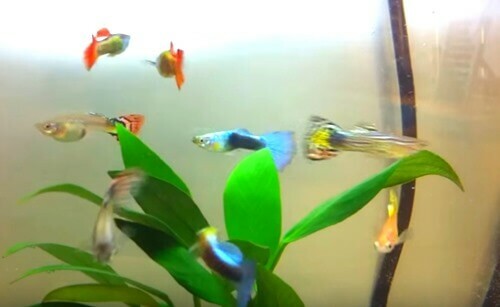 However, we have to caution that Fancy Guppies are not that ideal for starting a new tank. These beautiful hybrids will not usually tolerate ammonia well at all. If they live, their beautiful tails will get ragged, and may never grow back the same. 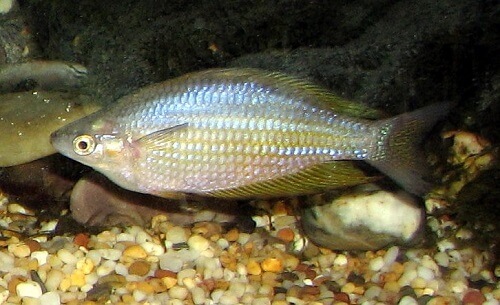 These are the most commonly-available Rainbowfish, at least in the Midwest. Almost all Rainbows are quite hardy, but of the species listed, the Madagascar and the Celebes are the most sensitive. Rainbowfish like clean water. Caution! here, that we have had good luck with all of the species listed above. However, some hobbyists may have difficulty with some of the listed Rasboras. They do need a little more pampering in terms of small (5.0%) weekly water changes for the first couple of weeks. On the other hand, we have not yet encountered a Danio species that wasn’t exceptionally hardy. Do blood red parrot fish. Get along with others of their type. I have a mixed tank. So far so good. I am a beginner. Keeping water at good levels.